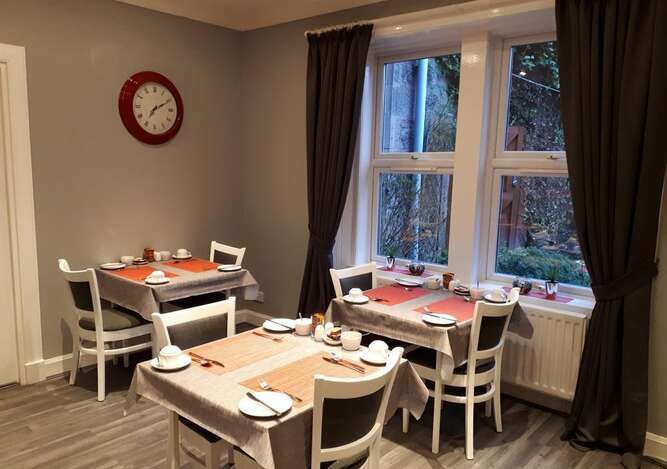 Welcome to our friendly Scottish Guest House Bed & Breakfast B&B Accommodation in Perth, Scotland where we are sure you will enjoy comfortable accommodation &satisfying breakfast at a reasonable price. 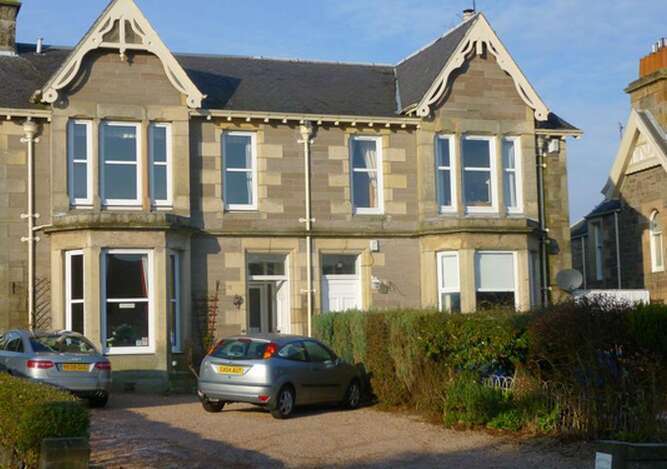 The friendly Scottish Rowanlea Guest House Bed & Breakfast has been welcoming guests from all over the world for the past 25 years, many of whom have returned time and time again, and we hope your vist will be the first of many as well! The Rowanlea Guest House Bed & Breakfast is easily accessed by car from the motorway in every direction and is just a short walk or cheap taxi ride from bus &rail stations. We are a short walk to the town centre with all its bars, restaurants, cinema, shopping centre and retail park. Nearby visitor attractions include Scone Palace, Blackwatch Castle and Museum, Perth Racecourse, Perth Concert Hall, Perth Museum &Art Gallery, Perth Leisure Pool, Dewars Ice Rink as well as its numerous beautiful parks eg North Inch &South Inch and tranquil gardens eg NTS Branklyn Gardens. FREE private parking onsite, no reservation required. All our bedrooms have clean, en-suite facilities with fluffy white towels and complimentary toiletries and our bedooms offer every comfort including colour Flatscreen TV, hairdryer, radio alarm clock, ironing facility, guest information folder, electric kettle and generous Hospitality Tray consisting of regular tea, herbal tea, regular coffee, decaffeinated coffee, hot chocolate, mint chocolates, biscuits and bottled waters. Most of our bedrooms have peaceful garden views. Relax in our large period Guest Lounge after a hard day?s travel. A full cooked breakfast is included in your stay and is cooked fresh to order. You may start with an assortment of freshly prepared fruits, cereals, muesli, pitted dates, mixed nuts, assorted natural &fruit yoghurts and fresh fruit juices from our well stocked buffet table. This is accompanied by a choice of herbal tea, tea, coffee, white and brown toast. This is then followed by a choice of a full cooked Scottish breakfast freshly cooked to order. If you do not feel like a full cooked breakfast we also serve smoked salmon and scrambled eggs, porridge, pancakes etc ? just let us know what you would like! We will always try our best to make your stay a happy one so that we may have the pleasure of welcoming you back to Rowanlea Guest House Bed &Breakfast Perth another time in the future.